A full-featured computer briefcase with a messenger bag design. 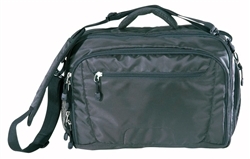 Made with durable 420D textured polyester material. Heavy padded laptop compartment with dual zipper closure. 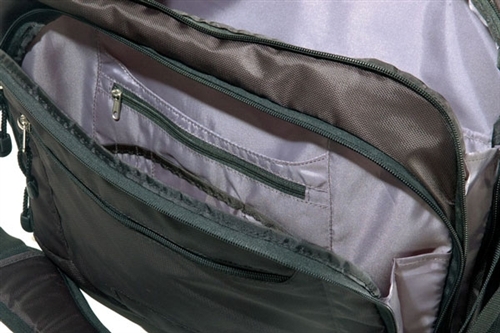 Multi-pocket organizer inside second large zipper compartment. File divider and 4 slash pockets inside main compartment. 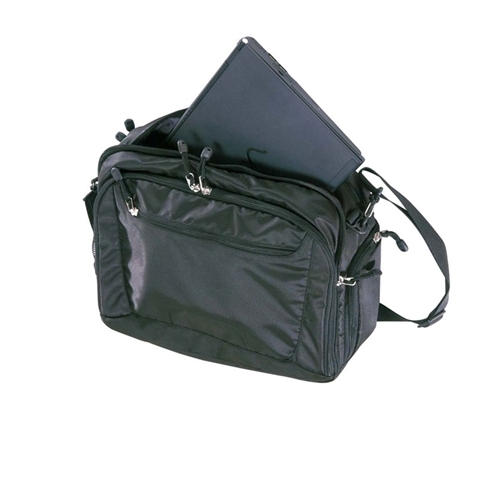 Padded top handle and shoulder strap. 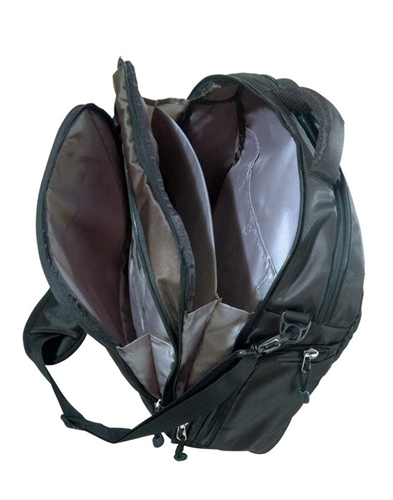 Extra back zipper pocket and dual large mesh and zipper pocket on each side for additional storage. 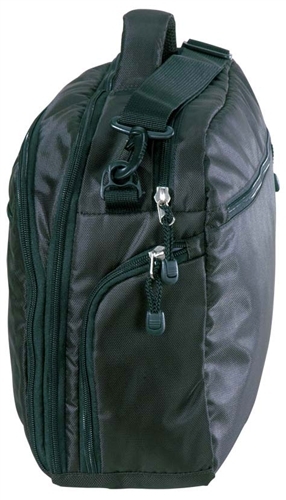 Adjustable and detachable shoulder strap is included.